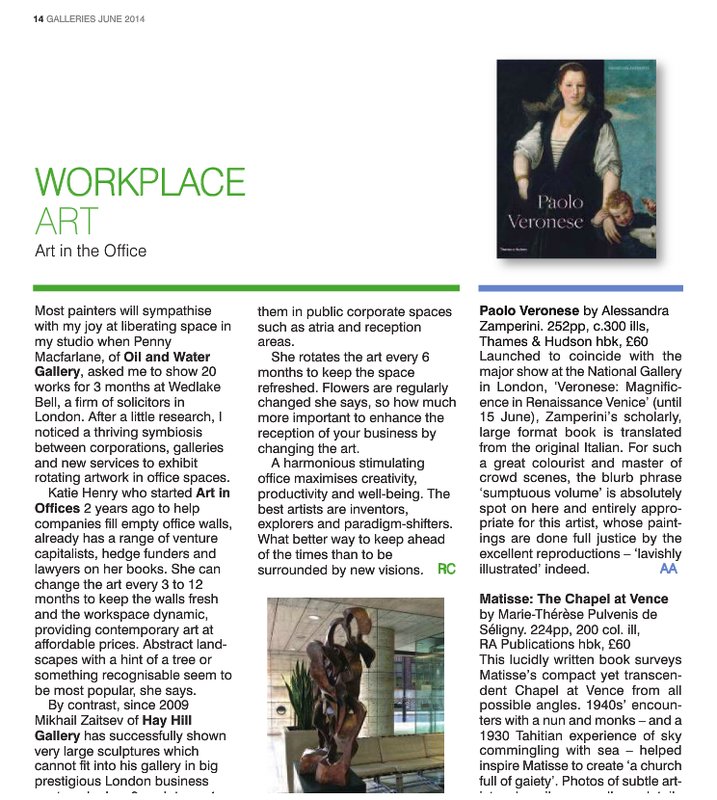 Art In Offices Director Katie Henry was interviewed by the magazine for an article on workplace art, and what trends the company was seeing. We told them customers are currently keen on 2dimensional paintings, which are colourful, and semi abstract, such as abstract landscapes. City scapes are also popular with businesses who want to promote an international brand to the company.